Villa Lefteris is a modernly designed and decorated villa, set in Svoronata. Surrounded by a private garden, the property features an outdoor pool and features views of the sea. Free WiFi is available throughout the property. Inside the villa you will find an open plan living and dining area with a fully equipped kitchen. A flat-screen TV a DVD player and iPod docking are offered. The villa features one bedroom and a bathroom fitted with a bath and shower. Bathrobes and a hairdryer are provided. Free private parking is available on site and guests can enjoy meals on the furnished covered outdoor terrace. A range of activities such as fishing and hiking are offered in the area. Avithos Beach is 1.1 mi from Villa Lefteris, while Ammes and Ai Helis beaches are within 2,650 feet from the property. The nearest airport is Kefalonia Airport, 1.2 mi from the property. When would you like to stay at Villa Lefteris? 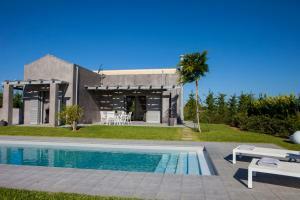 Private villa with sea view and private outdoor swimming pool. 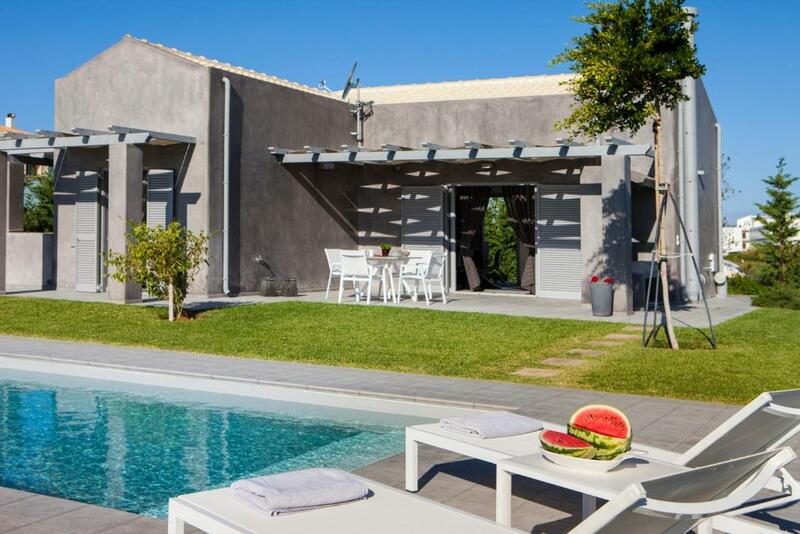 Villa Lefteris is a modern luxurious villa and the perfect romantic getaway for couples.The villa is set in its own private gardens with a private swimming pool and BBQ area. 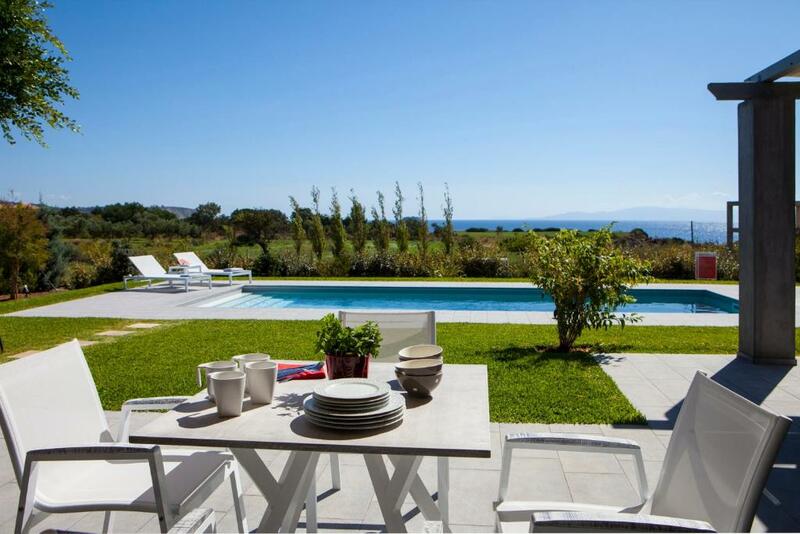 Inside the villa you will find an open plan living/dining area with fully equipped kitchen. 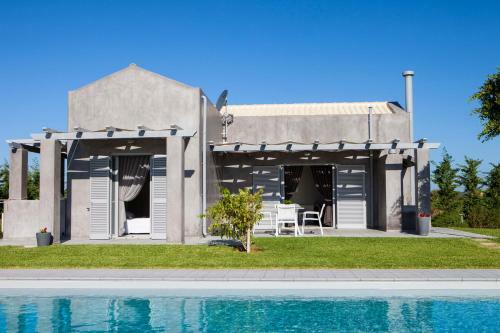 One bedroom with a large double bed and one bathroom with shower and bath.The villa can acccomodate up to 3 guests with the use of the sofa bed in the lounge. Enjoy al fresco dining under the pergola or a glass of wine under the clear starry night sky and the wondrous full moon.During the day relax by the pool under the shade of the umbrellas admiring the vast blue of the Ionian Sea. 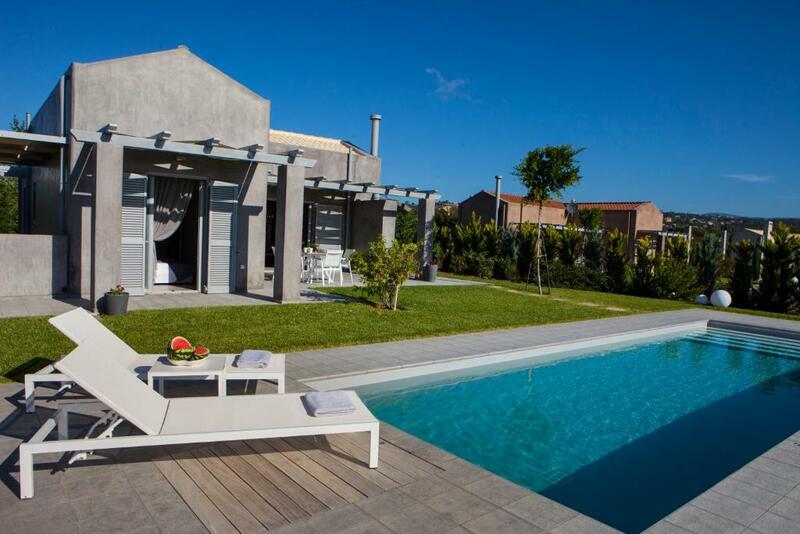 Villa Lefteris is located in Svoronata, southwest of Kefalonia, approximately 8 miles south of Argostoli, and 2 miles south of Lassi. Svoronata village itself is situated about a mile inland, with three surrounding beaches; Ammes, Avithos and Ai Heli. The village of Svoronata is a 5'-7' drive from the airport and unlike some areas on Kefalonia, the terrain is fairly flat which makes it an excellent choice for those who enjoy easy walking. There is a choice of beaches accessible from the villa, all of which are sandy. The longest beach is Avithos which has two sandy coves, the main Avithos beach with beach facilities and the unspoilt sandy beach of Megalipetra. At Avithos there are two beach side tavernas and a cantina on the beach, which also supplies sunbeds and beach umbrellas. The small beach of Ai. Hellis is a secluded sandy cove reached by a steep sloping track. Ammes Beach also has a small cantina and sunbeds and umbrellas available. Svoronata has a few local tavernas and two minimarkets. The local bus runs daily from the capital Argosoli which is about 20’ drive away. The famous long sandy beaches of Makris and Platis Yialos are within 15' drive at the famous area Lassi. 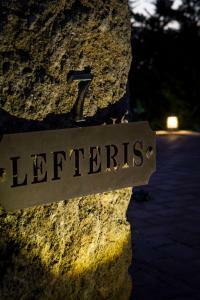 House Rules Villa Lefteris takes special requests – add in the next step! 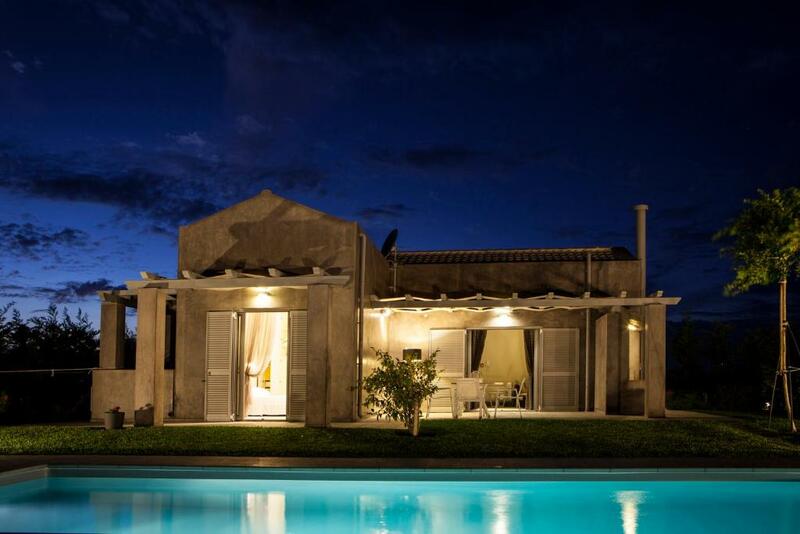 Villa Lefteris accepts these cards and reserves the right to temporarily hold an amount prior to arrival. Please inform Villa Lefteris of your expected arrival time in advance. You can use the Special Requests box when booking, or contact the property directly using the contact details in your confirmation. We need at least 5 reviews before we can calculate a review score. 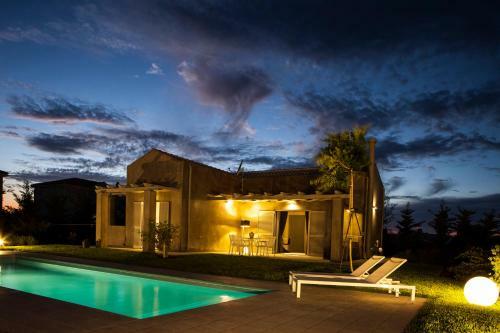 If you book and review your stay, you can help Villa Lefteris meet this goal.